One easy way to improve the beauty of a bedroom decoration is to add a beautiful bed sheet. In a bedroom, bed sheet is the central scene, because it covers the main item in the bedroom, which is the bed. It's so easy to change the tone or accent in your bedroom from gloomy to cheerful or from relax to happy just by changing your bed sheet. That's why it's important to choose the right bed sheet for the rooms in your house. India is one of the biggest cotton producing countries in the world, as the industry got bigger and bigger they pay more attention to quality. Most Indian bed sheets are made of pure cotton, which guarantees absolute comfort and durability. Additionally, good quality cotton also eliminates the risk for any skin irritation. These bed sheets will last for years, whether you wash them often, the color will not wear off easily. Furthermore, many textile industries in India are still using traditional methods in producing their fabrics. Many variants of Indian bed sheets are made using such fabrics, like those you can find in Jaipur. Jaipur bed sheets are one of the most sought after Indian textile products, made using Jaipur fabric manufactured using traditional methods, these bed sheets really have a unique appeal. Textile is a very important part of the Indian tradition, for thousands of years, people in different parts of India have developed various methods and design styles in producing their fabrics. 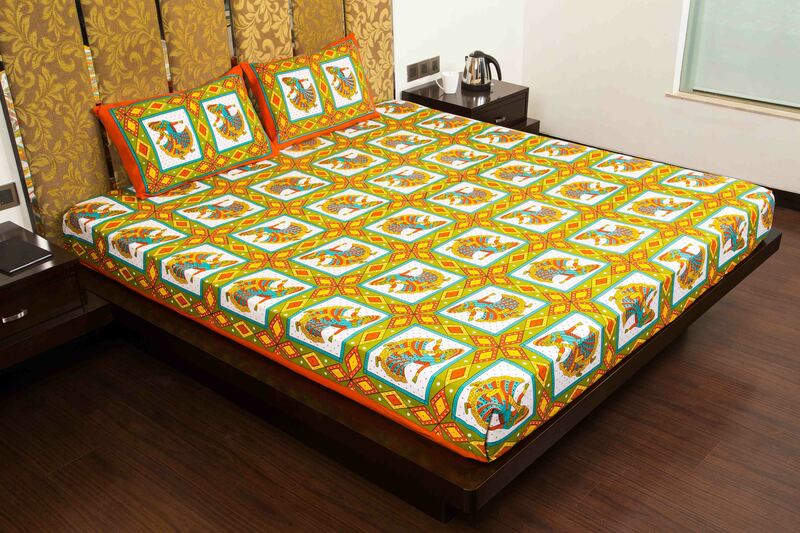 Block print bed sheet is one of the most famous methods in making high quality hand made bed sheet products. Every region in India has its own unique design, some regions have printed bed sheet products with bright colors, some others have darker colors, some apply animal and people motives, the others just use plants or leafs motives. So many styles, so many motives, and so many colors to choose, you will never run out of option when you choose Indian bed sheets. With high production of cotton and readily available workers in all sectors, making the production cost lower, so Indian bed sheets are normally offered in quite affordable prices even though they have great quality. Today you can even order your Indian bed sheets online and have them delivered to your door. Websites like www.jaipurfabric.com can provide you online quality bed sheets on your finger tip, simply browse the options, click and pay, then wait for the bed sheets to arrive.